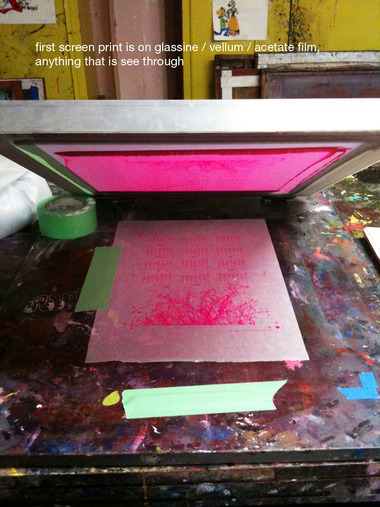 Learned screen printing last month and have made so many things! 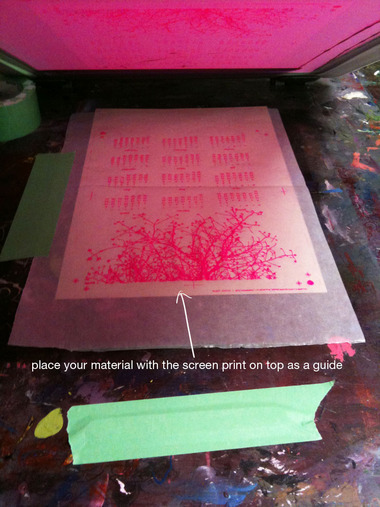 Here's some process pics of how I make my 2011 Birds Laser Cut Calendar, a mix of screen print and laser cut methods. I have so much good quality card stock that's originally part of packaging for these lovely wax papers I sell on Tinted Mint. I keep them and reuse them for all sorts of stuff. They come in large sheets so I first cut these to size, bit bigger than what I need so I can later trim to finished size. 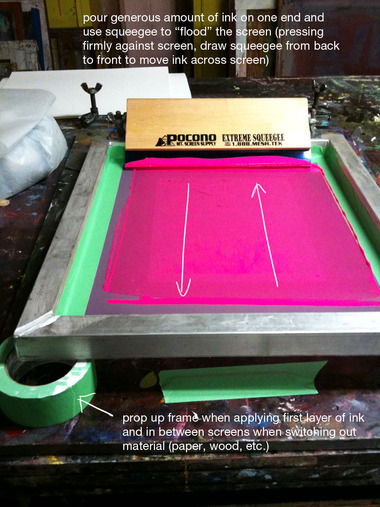 So with stack of cut card stock in hand, I screen print part of the art work first. 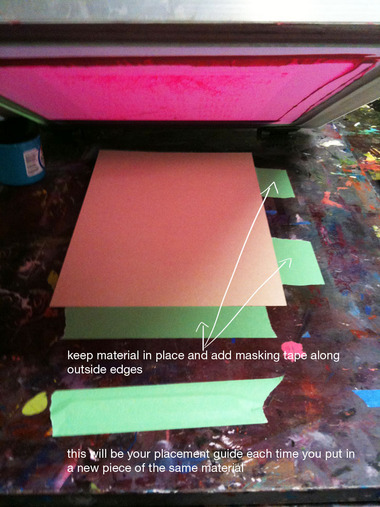 I then trim off the left side of each screen printed sheet, using the registration marks as a guide so when I put this into the laser cutting machine, my cut outs will be "straight" against the screened artwork. Here's a video I took with my iPhone that shows the laser cutting/etching part. It took 2-3 trials to get the alignment just right. Here are pics of the final product.